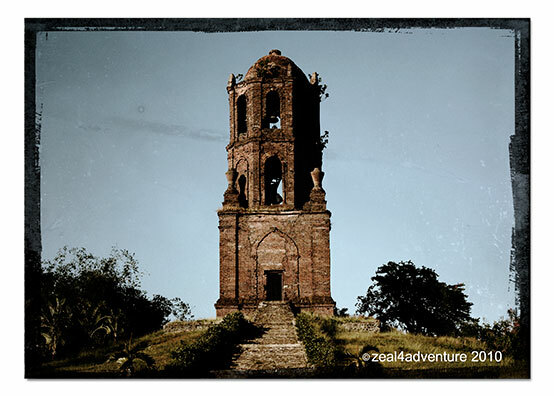 Just a stone’s throw away from Vigan is an old bell tower standing alone on a hill watching guard over the town of Bantay. and exquisite sunsets bringing forth a golden charm to the brick and slime walls. 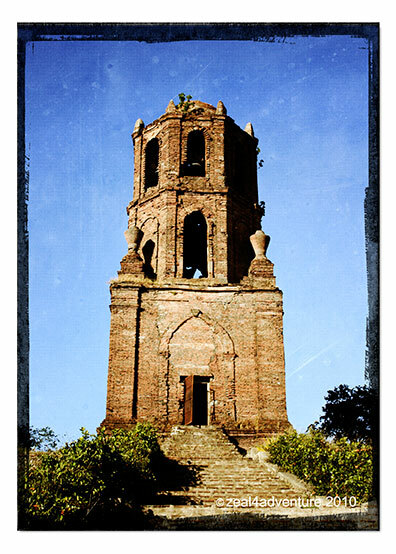 Also used as watchtower for invading enemy forces during World Wars I and II, it was constructed separately, as many Spanish churches are in Ilocos, from its main church, St. Augustine Parish Church, also known as Bantay Church. Built in 1590 with design reminiscent of the Old Spanish architecture using local indigenous materials like brick and slime. Damaged during World War II and was restored in the 1950s in neo-gothic design as seen today. Beautiful photos and nice post. What a gorgeous architecture of the church. A beautiful bell tower indeed. I love old buildings and these are wonderful. 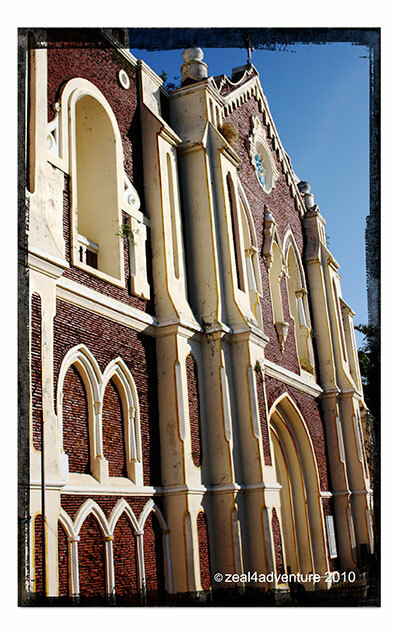 The architecture of St. Augustine’s is great. There are similarly styled buildings in New Norcia in WA Thanks for showing these. 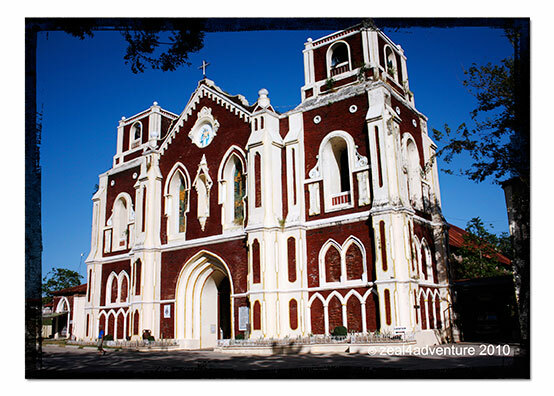 Oh, those antique structures in Vigan! Thanks for taking me back there. The last time I was there was in 1991, my last year in college. We had a field trip there and I did enjoy the calesa ride. I also bought lots of hand-made blankets and decoratives. I wish to take my family there one of these days for cultural exposure. That is a beautiful tower, they don’t build them like that anymore. 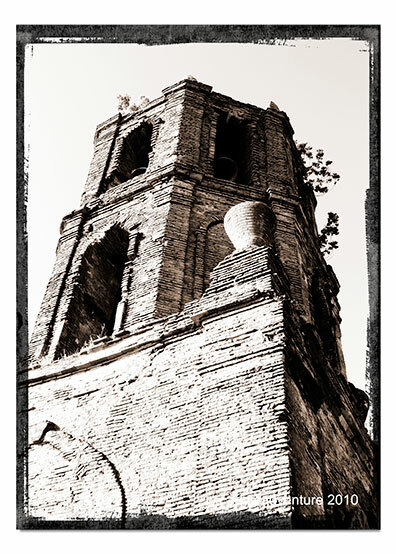 The Old Spanish architecture is very pretty, but I am more impressed by the bell tower! Very nice stonework! 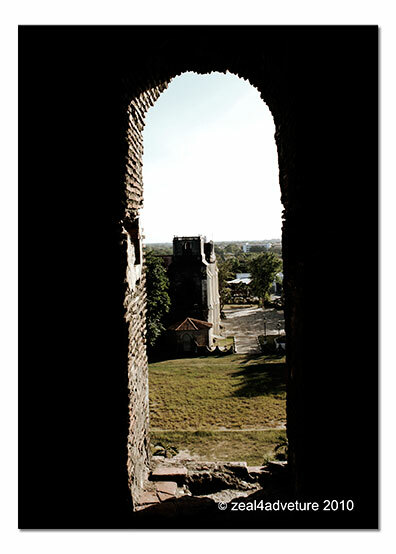 The photos show that this ancient bell tower has many stories to tell us! Beautiful architecture! The church is really magnificent. The bell tower quite unique! These are wonderful! The church looks lovely, but that old tower is truly amazing! I love that old bell tower. Magnificent stonework. Very pretty surroundings.